And while preparing for this special event over the last 3 weeks, I cooked for all my private chef clients, taught yoga and cooking classes, ran, lifted, and well lots of other fun and not so fun stuff………So……unfortunatly KeepingSkinny got a back seat for a few days. Why is it that we feel so guilty slowing down these days?? I mean as a society life is getting faster and faster. My friend Shara and I were walking and chatting this am. I have to admit it was nice to walk. Today I walked 2min, ran 2min, sprinted 2min…for 40 mins…all in an effort to slow down…to get faster! 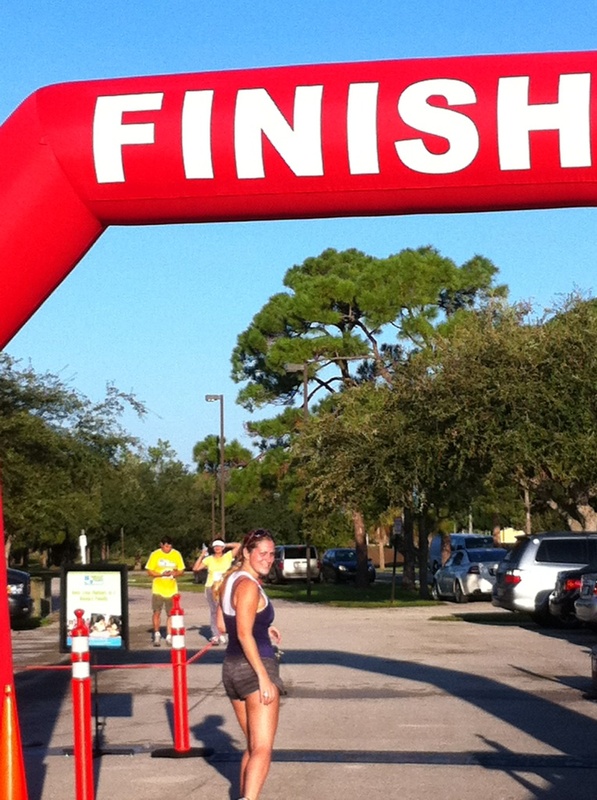 I was in 11th place for my age group at my last race, I can do better:) With practice I believe we all can. Life is not unlike this training. If we want to get ahead in life sometimes we just have to slow down to see the whole picture(like I did with my staff)…this makes us better managers of our time, businesses and selves…which in the long run makes us faster. Getting to the finish line faster will continue to be a goal of mine…still focusing on slowing the journey to the starting line it’s such a bad idea either! So whether ya started Pure Practice with me today, are logging in with Aisa or Stephi through their 100 days or you’re just a continous work in progress as we all should be…be kind to yourself, take it slow and yall get faster and keepskinny! The party was awesome sat..How u put things together is amazing, I don’t think it could have went any more smoothly!